Sometimes all it takes is one unexpected expense. Maybe you needed to buy school clothes for your kids. Or you had an unexpected medical emergency. If you’re running short on funds, you’re not alone. Only 39 percent of Americans could cover an emergency that cost $1,000 or more. 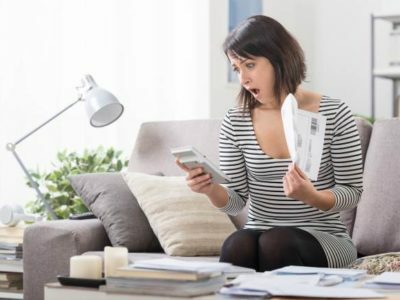 If you’re late paying your bills, you could get hit with late fees or risk your car or home being repossessed. In situations like this, taking out a loan to pay bills is a reasonable option. It can give you the cushion you need to get back on your feet and on top of your finances. Read on to find out how to a loan can help you pay your bills. When you’re looking at loans for bills, you should look for lenders with a good reputation. Look for online sites with good reviews or try a local bank or credit union that you trust. When you start to contact lenders, look for detailed information about the loan. You should know the interest rate of the loan, the length of the loan, and the amount of your monthly payment. Look for a monthly payment that you will be able to afford moving forward. If you take out a loan you can’t afford, it will hurt your credit and make your financial situation more challenging. When you compare loans, make sure you look beyond just the monthly payment, though. You also want to look for the lowest interest rate among your offers. The lower your interest rate, the less you will end up paying on the loan. It will save you money in the long term. If your credit score isn’t the best, your options may be a bit more limited, but you can still qualify for a loan to pay bill creditors. You may want to look for lenders that specialize in working with borrowers who have bad or poor credit. If you apply to a lender that specializes in loans without credit check, you are more likely to get approved. They may not even do a credit check, or if they do, they might do a soft credit check. A soft credit check doesn’t impact your credit. Lenders conduct this type of credit check to confirm your identity and basic financial situation. To apply for loans to pay bills, you will need to submit your basic financial information to potential lenders. They will review your information and let you know what your options are. Carefully review your offers and decide which loan for bills will best meet your needs. Once you decide, complete any required paperwork and wait for your funds to arrive. At Bonsai Finance, we work with borrowers like you every day. We know that everyone runs into challenges. We can connect you with lenders who may meet your financial needs. All you need to do is fill out a simple form. Contact us today to get started with a loan to pay bills. What’s the Truth About a Payday Loan with No Credit Check?